There are two types of information we collect: anonymous information and personally identifiable information. Anonymous information includes such data as web pages visited, browser type, etc. Personally identifiable information tells us specifically who you are, such as your name, address, or email address. Anonymous information is collected whenever you visit the web site. Personally identifiable information is only collected when you choose to register with our site. For example, personally identifiable information may be collected when you download online literature. Personally identifiable information is not linked to anonymous information. Anonymous information is collected so we can improve the overall quality of the visitor's online experience. Personally identifiable information is used solely to deliver a requested service or product to you. Optofluidics, Inc. (DBA Halo Labs) does not share any of your personally identifiable information with any third party. For example, we do not sell or give away any of your personal information to mass marketers. You may request that your information be modified or deleted. Optofluidics, Inc. (DBA Halo Labs) will make every effort to honor such a request. 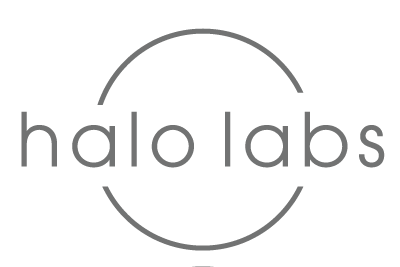 Such requests can be sent to info@halolabs.com. Optofluidics, Inc. (DBA Halo Labs) uses “cookies” to identify registered users of our website. The cookies are used solely to provide convenient access to functions on the web site, such as our downloadable literature.